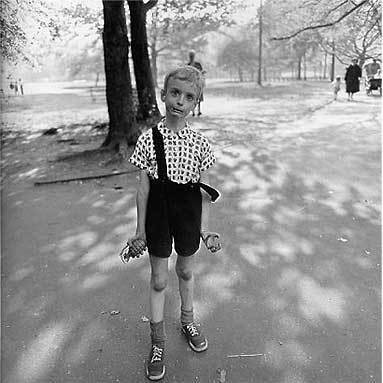 According to Diane Arbus, "A photograph is a secret about a secret. The more it tells you, the less you know." How I wish I had put knowledge of this bit of wisdom into the head of Harriet Rose, the photographer and main character of my first novel, Objects in Mirror Are Closer Than They Appear. My second novel, The Music Lesson, concerns an IRA splinter group plot to steal a Vermeer from the Queen. It came out in 1999, and was followed within the year by the more successful (which is not to say that The Music Lesson didn't do very well -- it did, and it continues to sell nicely in multiple languages) Girl With a Pearl Earring by Tracy Chevalier. Both novels, and some others, were written in the aftermath of the Vermeer exhibition in Washington and The Hague, and Vermeer's zeitgeist stock has been blue chip ever since, kept in high public consciousness not necessarily for visual reasons but simply because of the staying power of cultural trends. On a recent visit to a Dutch Master painting show at The Metropolitan Museum, I was aware more than once of people exclaiming with excitement when they spotted wall text identifying a Vermeer. I wished for the opportunity to experiment with a change of identification on the museum walls, to watch people swoon passionately over a previously bypassed De Hooch or Metsu once it was labelled Vermeer. Instructions: In a mixing glass, muddle together the fresh ginger, Citrus Mint Syrup and bitters. Add ice and the rest of the ingredients except the garnish, and shake well. Strain into a chilled cocktail glass. Add the garnish. Instructions: Combine all ingredients in a nonreactive saucepan and place over medium heat. Bring to a gentle simmer, stirring frequently, and cook about 5 minutes, until syrup thickens slightly. Remove from the heat and let cool to room temperature. Strain through a double layer of dampened cheesecloth. Would Vermeer have been interested in this Dutch Mojito? He probably drank Dutch beer and cocoa. 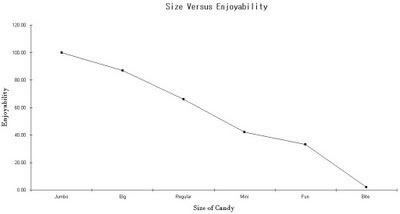 Now that Halloween has come and gone, having fallen on the second most profitable day of the week for the candy industry (Friday Halloweens are best for candy sales because it is not a school night but it is a work day, so there are more office parties and workplace candy occasions), what's your feeling about size? Does size matter? Do you prefer full-size bars for their classic taste proportion of coating to filling? Or do you like the one-bite experience of minis and fun-size, despite the shift in ratio of inside to outside? (Perhaps you are one of those muffin top people.) Do please consider this handy chart against which to measure your own possibly misguided preferences.